I am smiling reading the comments on my last blog post. It shows how people read what they want to read, not what was written. 1. I never said that my method recovered the historical Jesus or his message about the Kingdom of God. Did I? 2. What I said (and apparently it needs repeating) is that what I would recover with my method would be the earliest constructions of Jesus by the early Christians. This is not the same thing as the historical Jesus. Rather it is how the first Christians were remembering him early in the transmission of the traditions. And it is quite clear when these sorts of detailed studies are done and looked at comprehensively, that the second generation of Christians thought his message about the coming of the Kingdom of God was an eschatological message that did not fulfill itself as expected. Really, let's be honest, is this something new? Paul is all about the problems of the unfilled eschaton already in our oldest Christian writing in the New Testament, 1 Thessalonians. 3. I told you that you wouldn't like it. "Historical Hermeneutics", "Historical Jesus", "The Jesus Project"
Is the Historical Jesus lost? Historical method has its limitations. It can be pushed only so far. In terms of understanding who Jesus actually was, historical method can take us back fairly early in the memories of Jesus among the first Christians. But is this enough for us? Or must we continue to confuse early memories of him with "him"? It may be true that the earliest memories of him reflect most closely who he actually was, but there is no guarantee that these early memories are not already information refracted or distorted or wrongly attributed to him. Why? Even setting aside the fact that the first Christians were charismatics who believed that Jesus continued to live and teach in their presence in some kind of spirit manner (a fact which made it fairly simple to attribute to the historical Jesus things said in his name by early Christian prophets), we can expect that even the first memories of him are already in the process of shifting because of the natural processes of human memory and also social memory formation. In other words, the way we remember is a function of our brains and our societies. It is now and it was then. So my approach to the historical Jesus comes at the issue from a slightly different angle and with a slightly different goal than the questers that have gone before. Not that the historical Jesus has ever been a goal of my research, but nonetheless I have had to work out a solution to the problem myself in order to be able to understand the beginnings of Christianity. I would call my approach "Constructing Jesus." I would frame it as an attempt to come to understand the earliest memories of Jesus from all the sources available to us. I would work the sources in a way that I would lay out how the various communities constructed Jesus. I would then compare these constructions to see where there are intersections of early material that is being rewritten or reformatted by the early Christians because it is no longer useful or relevant to them in their present situation. And I would see what I had in its entirety. And I would not kid myself that I was looking at Jesus himself, but only the earliest memories of him that the communities constructed. For me, that would be good enough. The main criterion for identifying the threads of this early material would be what I call simply "Theological Reinterpretation." That is, I would identify all the areas in the sources where the early Christians are clearly rewriting Jesus, where secondary development of him is certain. One example must suffice for now. Mark 9:1 - "And Jesus said to them, 'Truly I say to you, there are some standing here who will not die until they see that the Kingdom of God has come in power." This saying of Jesus appears to have a life of discomfort among the synoptic writers. Mark appears not to like its implication - that there have been followers of Jesus that have died and yet the Kingdom of God had not yet come in some eschatological manner. So he does something interesting. He places the saying sequentially right before the transfiguration story, which he hopes his reader will understand to be the moment that God's Kingdom manifested in power (rather than at the end of time). I would further suggest, based on other evidence that is too involved to post here, that when Mark did this he also recast an earlier source of his which had a version of this story (without the disciples) immediately following Jesus' baptism. That this saying continued to cause distress and require further rewriting is evident from Matthew's treatment, who has softened the blow of a failed eschaton by reframing Mark's version to read: "Truly I say to you, there are some standing here who will not die before they see the Son of Man coming in his Kingdom." Then follows the transfiguration story which shows Jesus transformed as God's "son." Neat. No more cognitive dissonance here. Luke too is highly concerned about what he has received from Mark. So he makes his own adjustments: "But truly I say to you, there are some standing here who will not die before they see the Kingdom of God." The End is no more, because according to Luke the Kingdom of God is already here among us (Luke 17:21). Even more interesting to me is how this saying is still problematic to Christians today, so bible translators usually try to soften things by translating very woodenly "will not die" with "will not taste death". Now this is remarkable to me because usually bible translators try not to translate woodenly, but to convert the original language idiom into proper sentiment. When our ancient authors write "will not taste death" they do not mean that a person will flirt with death (and might not die), but that they will be dead. It is an idiom for "to die." At any rate, this sort of analysis, done on a much more detailed level, would yield a good amount of information that I would label "earliest memories of Jesus." And one of them would be (based on a number of these sorts of examples) that the earliest Christian memories of him were of a Jewish apocalyptic preacher who taught that the Kingdom of God was in the process of being established on earth as part of the coming of the End of the world. The last part of this sentence is important because we must be fair to our sources who are all rewriting the saying about the Kingdom of God, because they think that, as it stood, it was a failed prophecy of Jesus. And they were trying to correct or reinterpret this failure in a new theological direction, which they did admirably. This means that the earlier memory they are rewriting is one that understood Jesus' message about the Kingdom of God in terms of an imminent End. I didn't say you would like it. But as an historian one has to be willing to recover that which might not be "likeable," and leave it for what it is. After reflecting for two years since I was initially contacted about participating in The Jesus Project, and recently determining the actual goal of TJP which had always been vague to me, I have decided to step aside. First, the goal to prove Jesus' existence or not is methodologically a black hole from my perspective. Second, another quest for what we can know about Jesus will turn up nothing new, because each thing that will be identified will be easily deconstructed by the members of the group. When this happens, I can imagine that the minimal-to-nothing "evidence" could be framed as "proof" for Jesus' non-existence. The media will have a heyday - "now scholars prove that Jesus didn't exist" or "scholars say that we can know nothing about Jesus". This line of reasoning became very evident to me when Tom Verenna quoted a statement of mine published on my blog (in which I stated that the historical Jesus we reconstruct only exists in our imaginations) as somehow aligning with his myther position, as giving validity to it. This is simply false. Because I recognize that my colleagues in the Jesus Seminar have constructed the historical Jesus from their imaginative interpretation of the evidence available, has no bearing on whether or not Jesus actually existed. In fact, I think that Jesus did historically exist, although I cannot prove this anymore than the mythers can prove he didn't. I have reasons to think that he did exist, including the fact that Paul knew Jesus' brother James and that Hegesippus reports that he knew that the grandsons of Jesus' brother Jude had been interrogated under Domitian. And yes I know how mythers get around this evidence (how it is deconstructed), just as I know how Christians have traditionally gotten around it using some of the same arguments (since human brothers don't coincide with theologies like Mary's perpetual virginity, just as they don't coincide with the position that Jesus was not a historical person). Unless there is a new orientation to the project, I will not be participating in it, and wish those who remain part of TJP my best. I want to go back to a point that I made earlier in this series which I said that I would take up later. The point is this. When we begin really evaluating our methods, we discover that in case after case we are using them to try to conclude things that the methods cannot tell us. In other words, the multiple independent attestation criterion cannot tell us that Jesus said something, or that he more likely said something because multiply-attested material suggests that our authors were drawing on earlier sources for the material. It can, however, point us to material that did not originate with our authors, yet was popular enough to be transmitted, and salient enough to be preserved by two or more authors. So this principle, while it cannot tell us what the historical Jesus said, is certainly useful for helping us figure out the tradition history of early Christianity. More recent mythicist arguments deal with exegesis, Gospel genre (if the Gospels weren’t written for the purpose of “telling what happened” but rather “telling a good story” there clearly is reason to doubt the historicity of Jesus Christ), intertextuality (the models used by the authors of the Gospels to create narrative—and how much of the Gospel can be traced back to models), Jewish socio-cultural studies in the Hellenistic and Roman periods (did the Jews of the original “Christian” sect expect a historical savior or a spiritual one? ), religious-meme change (how quickly did religious trends change and how much could they have changed over that period of time—for example, euhemerizing a legendary figure of Jesus into a historical setting), and proto-Christian origins (was there a “Christianity” before the first-century CE and where did it originate?) . 1. The gospel narratives were written "to tell a good story" not to record "history", so isn't there reason to doubt Jesus' historicity? Well, the short answer is NO. The mere fact that the story is constructed is not evidence for the non-existence of Jesus. Everything we write, speak, and even think is constructed. But that doesn't mean it is constructed with no ground in the historical reality that we experience. The long answer is that the ancient people did not have the concept of history that we do today, and none of them wrote factual accounts, even those who claimed to be writing histories. An "empirical" accounting of our history wasn't actually understood until the Enlightment when people like Leopold van Ranke began to argue that maybe we should be committed to writing history as it actually happened, and that it should not be the historian's duty "[…] to judge the past, nor to instruct one's contemporaries with an eye to the future, but rather merely to show how it actually was." 2. The authors of the gospels used narrative models to construct their stories. True. But this is not evidence for the non-existence of Jesus. All it can tell us is that the early Christians were part of the Greco-Roman educational system, and used models known to them to write Jesus' story. Would we expect otherwise? 3. The original Christian sect expected a spiritual savior. It doesn't matter a hoot whether the early Christians thought Jesus to be a real human being or an angel or a god. They in fact thought all these things, and what these represent are theological interpretations. They may be interpretations laid on an historical figure just as well as not. This argument cannot tell us whether or not Jesus existed. 4. Religious trends change quickly over time. So what. Some do. Some don't. And in each case, these should be tracked and evaluated. This tracking would tell us a lot about early Christian construction of their religion, but Jesus' existence? Come on. The long and short of this post gets at the heart of TJP in my mind. Does an intentioned constructed story about somebody consequently imply that that person didn't exist? No. In fact, I don't know of a method that would actually tell us whether or not Jesus existed. So this is a non-issue for me. It can't be known. So if all TJP is going to be is a bunch of scholars arguing over whether or not Jesus existed, using methods to conclude things that are beyond the scope of the methods, then I don't want to participate in the Project. I don't have time or patience for this conversation. The question cannot be resolved. And TJP will fall into the same trap that TJS fell into - concluding things that our scholarly methods cannot actually tell us. However, if the Project wishes to get serious about methods, and commits to using them only to gain what can be gained from them, then I think TJP has something to offer. I think that we need to allow our methods to do what they can, and stop forcing them to do what they can't. Perhaps we might set aside the obsession of historical existence or non-existence of Jesus (which are both faith positions from opposite camps), and instead try to come to a better understanding of how, when, and why the early Christians constructed the story of Jesus in the manner that they did. If this is our goal, then I'm interested in being a part of TJP because this I think is possible to accomplish. The Jesus Seminar methodology was (and still is) fairly standard in the field. It developed out of the form-critical approach of Rudolph Bultmann, as some of his students have interpreted it. Norman Perrin is one of the scholars in the 1970s who lays out the method in a systematic way in his book Rediscovering the Teaching of Jesus. These three principles (dissimilarity, multiple [independent] attestation, coherence) in turn form the foundation of the Jesus Seminar's work, as well as much of the scholarship of the individual scholars who were associated with the Seminar. I have discussed the first two principles in two earlier posts. The criterion of coherence, the third principle, is also famously used to achieve the Jesus Seminar Jesus. Once we run the Jesus traditions through the dissimilarity principle and determine that it meets this requirement, and we have noted whether or not the material is multiply and independently attested (the more independent attestations the better), we have identified a small block of material as Jesus'. What do we do with the rest? Rather than cast it aside, we rummage through it again to see if we might pluck out anything else to fatten up the little heap of words we were able to reap fishing with the dissimilarity principle. In Norman Perrin's words, "once characteristics of the teaching of Jesus are established [by satisfying the dissimilarity principle], these characteristics can be used to validate sayings which themselves would not meet the requirements of the criterion of dissimilarity...What we are proposing, in effect, is to use material established as authentic by the one sure criterion as a touchstone by means of which to judge material which itself would resist the application of that criterion, material which could not be established as dissimilar to emphases of Judaism or the early Church" (Rediscovering the Teaching of Jesus, p. 43, 45). Now this criterion makes some sense to me, as long as the "one sure criterion" that you are using previously is really "sure." But in the case of the dissimilarity criterion, the only thing "sure" about the results is that we have identified some material that the early Christian authors found useful enough to preserve, and were not at all certain that this material originated from Jesus or even reflected his historical teachings. So to use a criterion like this, we would need to be very cautious that the material already identified was as definitive as we are going to get, and then we would have to make judgments about what "other" material we thought cohered. Are we going to choose material that coheres to the Jesus we desire to create, while ignoring the other material? It is very risky, and safeguards would need to be established in order to counteract this possibility, safeguards that I don't see in place in the construction of the Jesus Seminar Jesus even though the general rule for the Seminar was "Beware of finding a Jesus entirely congenial to you" (Funk, The Five Gospels, p. 5). 1. "Jesus' characteristic talk was distinctive - it can usually be distinguished from common lore" (Funk, p. 30). 2. "Jesus' sayings and parables cut against the social and religious grain" (Funk, p. 31). 3. "Jesus' sayings and parables surprise and shock: they characteristically call for a reversal of roles or frustrate ordinary, everyday expectations" (Funk, p. 31). 4. "Jesus' sayings and parables are often characterized by exaggeration, humor, and paradox" (Funk, p. 31). 5. "Jesus' images are concrete and vivid, his sayings and parables customarily metaphorical and without explicit application" (Funk, p. 32). The criterion of coherence is only going to be as good as the original data set and the controls put on it by the scholar. It will reveal material that is "like" the original data set, but tells us nothing about whether or not Jesus spoke the material. It might begin to give us insight into clusters of "like" traditions though, which might help us to locate the material within the tradition history of early Christianity. I am sorry that this series of posts is taking a while, but I am very bogged down with work in the office as I am sure many of you are too. I wish to begin by saying that I am not making these posts to be "critical" in a negative way of TJS or its method, that is to be deconstructive, to nit-pick or to gripe. I am writing these posts to reassess the method, and to ask what the method actually can tell us, versus what it can't. And then I want to move forward with this thinking in a constructive manner. I do not know where the series will end up, since I am thinking aloud here. I don't have some grand solution in place already, but only wish to clear the decks and see what is left out there for The Jesus Project. The dissimilarity principle (what I call the "apologetic principle") is about the strangest principle that could have been invented by scholars. Yet it has been the darling of most historical Jesus reconstructions. It works by trying to identify material that uniquely belongs to Jesus. The idea is that if a saying or action attributed to Jesus can be found in Jewish literature, then we must be skeptical about its attribution to Jesus. It could have been lifted by our gospel authors from the Jewish literature. Because of this uncertainty, the saying or action should be set aside. The same is true in the other direction. If a saying or action of Jesus is reflected in the literature of the early church, then we have to be less certain it originated with Jesus. So that material has to be set aside. It has been expressed this way by Norman Perrin: authenticity is most certain "if it can be shown to be dissimilar to characteristic emphases both of ancient Judaism and of the early Church" (p. 39, Rediscovering the Teaching of Jesus). What is left? Well, it is considered the most likely authentically Jesus. In evaluating this claim we first should recognize the irrational jump from "what is left" to authentically Jesus. There is nothing to suggest to us that the dissimilar leftovers came from Jesus himself rather than from an early charismatic preacher speaking in Jesus' name or an early Christian author inventing material along the way. Without some other evaluative steps, it is impossible to say who originated the leftovers. To say that they are even "more likely" Jesus than the material set aside is simply wrong. Second we have created the most unlikely Jesus that we historically might conceive. He is a character completely out of whack from the rest of his first-century peers, from his culture, from his immediate past, and from his immediate future. This is why I call it the "apologetic principle" - because it allows us to create a Jesus who is not Jewish. He comes across as a person who, for instance, isn't kosher, who isn't concerned in fact about discussing or observing Torah at all. And he isn't early Christian - at least in the sense that the scholars have defined early Christians as millenarians. This is the way scholars get rid of the apocalyptic Jesus, and the embarrassment of a Jesus who might have been an end-of-the-world failed prophet. It was the early Christians who were the millenarians (not Jesus), so based on the dissimilarity principle, we can delete those sayings from Jesus' recordings that address an imminent coming of the end-of-the-world. Because Jesus is left with no historical context or continuity, this means that we now have to invent for Jesus his own historical context, which we foist off as "Jewish" since we know that he was a Jew. Thus he is cast by the scholars as a Jewish Greek philosopher and beggar, even though we have no other known instances of Jews in Palestine acting as Greek philosophers and beggars wandering around the countryside teaching wise words and humorous stories as social critique to those who might listen. What does the dissimilarity principle tells us? It might point out some of the variety of directions that the traditions of Jesus developed - that there was a need among the writers of the gospels to recall a Jesus who was not kosher, that there was a need among some early Christians to recall a Jesus who internalized the Kingdom. Whether these "dissimilar" ideas originated from Jesus himself or elsewhere would need to be subjected to more evaluation before any conclusion could be drawn. I have my suspicions about where and when these dissimilar ideas came into play, but that is for another time perhaps. At any rate, it is not a principle that we would use to discover "authentic" historical information about any other figure in from the past, so why do we bother using it at all? Lately my mind has been processing whether or not we need The Jesus Project (TJP). I am particularly worried that the people involved will do nothing more than maintain their positions as mythers or positivists and there will be nothing accomplished beyond a stalemate regarding Jesus' historicity - except a media blip that scholars yet again can't agree on anything, even Jesus' existence. But this worry is not something I want to talk about today. I'll likely take it up in another post later on. I only mention it now because it is this concern that has fired me up today to think about the problem of the historical Jesus more generally. So what this post is about is the scholarly enterprise that TJP is a reaction to - the Jesus Seminar (TJS) and the numerous claims of books by scholars over at least a century and a half - that they have recovered "the" historical Jesus. I also want to preface my comments by noting that the turning point for me - the THING if there was one THING - the moment when I KNEW I would become a biblical scholar - was when I was in my senior year in college and had just read Norman Perrin's fabulous book, Rediscovering the Teaching of Jesus. I was walking across campus reflecting on the book, and I had been so inspired (one might even say liberated) by Perrin's words that I could see my own future as an academic very clearly for the first time in my life. I spent the next years gobbling up everything I could read from Bultmann to Jeremias to Vermes, fascinated with the quest for the historical Jesus. This was in the mid 80s, which marked the start of the Jesus Seminar and the industry of publishing portrait after portrait of historical Jesus. I had some qualms at the time that the authenticity of Jesus' sayings was tied to a democratic vote of colored marbles. But I understood the arguments and decisions that were being made by TJS because I understood the methodology which was standard fare for anyone studying bible. It wasn't so well-known to the public, but for academics the methods were quite traditional and acceptable in the Academy. I have discovered something neat about my life since then - that I never stop growing and learning - that when I learn something new, it usually ends up affecting a number of other things that I thought I knew - and so this leads to new questions whose answers sometimes open up a can of worms, or lead to uncertainties, or re-orient my picture so that finally everything falls into place (which can be nice). And so it has been. I defended my dissertation in December, 1993. Since then I have continued to learn, and I am now in the position of saying that Norman Perrin's book might be fantastic, but it is bankrupt, as is the Jesus Seminar Jesus. This Jesus is nothing more than a constructed person who exists only in our imaginations. I say this not because I am a myther. In fact, I think that the myther position cannot be maintained, because parallels between Jesus' myth and other ancient myths tell us nothing about whether or not he lived as a real person. It only tells us that ancient people cast their memories of Jesus into mythological narratives and schema that were part of their culture and minds. Rather I say this because I have come to realize over the years that the methodology and the assumptions of the methodology that were used to construct Perrin's Jesus and the Jesus Seminar Jesus are bankrupt. I'm not taking these in any special order because I'm thinking aloud here. So in this post let's look at multiple attestation of independent sources. For this criteria to work it assumes that if I find the "same" saying of Jesus in more than one source (that do not have literary connections), I can be more confident that the saying is early (because the two sources are picking it up from something prior to them, rather than the author of the source creating it himself). The conclusion is that this is a saying that we can more confidently trace to Jesus. But is it? If we study ancient oral and rhetorical culture, if we study human memory, such a confidence fades quickly. And when we realize that, in addition, the Jesus traditions are being transmitted within a charismatic environment where the believers are convinced that the living Jesus still speaks to them through their own prophets (which was an established "office" in the early church that was occupied by both men and women), any confidence left vanishes. I can imagine a situation in which a prophet only a few years after Jesus' death might address an audience out of the spirit saying, "And Jesus says to you today, 'Do not cast your pearls to the pigs." Did Jesus say it? I mean the historical Jesus? Or the living Jesus of the spirit? I don't know. And I imagine the audience didn't know. But let's say that there were a number of people in the audience who liked it, and so they happened to pass the saying on to their families and friends, and it became quite popular, finding its way into a couple of our earliest Christian sources as words of Jesus. So what does multiple attestation in independent sources actually tell us? that the saying existed in more than one version. The latter point further suggests that it is impossible to get back to one originating structure or version of the saying from which the other versions are deviations. Furthermore, if the sayings have no literary dependence on each other, it is impossible to reconstruct a linear development that would suggest what the original structure might have been. Even more to the point is the fact that in oral transmission there really is no original version of the saying, but many originals each time it is performed. Thus multiple independent attestation does not leave us confident that multiply-attested sayings more likely represent sayings that the historical Jesus originated than singly-attested sayings. Morever, multiple independent attestation works against any program that wishes to establish Jesus' actual words because, without direct literary dependence, it is impossible to reconstruct a single originating structure and identify deviant versions, let alone confidently trace them to the historical Jesus. Multiple independent attestation leaves Jesus' words multiform and fluid and smack dab in the middle of the early Christian experience (not necessarily the historical Jesus'). Tomorrow I will try to post my thoughts on a second criteria used by the Jesus Seminar to determine Jesus' words. "Historical Hermeneutics", "Historical Jesus", "Orality-Scribality", "The Jesus Project"
The biggest contribution that I can make to the TJP is in terms of method, bringing into play Social Memory Theory and how it can help us with the recovery of historical figures from the texts that survive. Our field has largely remained ignorant of social, psychological and anthropological models and theories, and has been content to work our materials from a rather shallow pool of understanding. I remain mystified why we keep rolling over the same turf all the time, and now we are back to the discussion that our texts are constructed myths which we can deconstruct (this is no new insight! ), and because we can do this, we are comfortable concluding that either Jesus didn't exist historically (he is a fabrication of the ancient mind and their myths) or there isn't enough evidence to say he did (because how can we trust an ancient author who makes things up?). This reasoning is so flawed that I do not even know where to begin to deconstruct it! I might start by recommending some reading that has been missed by the majority of academics in biblical studies. If we are really going to talk about whether or not constructed myths have any historical value (which seems to me to be the ultimate goal of TJP), then we better get up to speed fast on what other fields are saying about it. See below a selection of publications that I have found particularly helpful in terms of my own work - but this is just the tip of the iceberg. The field is vast and growing with a huge bibliography. What Social Memory theorists have found is that all societies create their memories to support their present experiences and to help them move forward into the future as they perceive it should be. This is usually done by taking historical figures and events and reframing them into older myths or legends, and by keying them to older personages and ideas. The best example for us (because we can witness this happening now) might be with Barack Obama. He is already keyed to Martin Luther King, Jr. and to John F. Kennedy and Abraham Lincoln. His own historical story is being framed in terms of our collective memory of Lincoln - so we accepted without too much discussion his train-ride into Washington, D.C. and his use of Lincoln's bible at the inauguration. His story of rising from a middle-class family to the presidency is already shaped by the story of Lincoln's rise from the log cabin to the White House. We are understanding and interpreting Barack Obama (and what we hope he will do) within a certain set of stories and myths from our past. So this is what we do as communities. This is how our minds operate. We understand our history and what is happening in our present by casting it into familiar forms and tropes. This helps us to deal with things and make sense of things. It gives us hope and meaning. It is a natural process of the operation of our minds and human memory. But because we do this, does not mean that there is no historical value to our stories. All these people lived and did things. Abraham Lincoln, John F. Kennedy, Martin Luther King, Jr. and Barack Obama. In fact, it is most often the historical people that do great things which we attempt to reframe and mythologize! The people that are average Joes (unless you are Joe the Plumber!) fall into obscurity. Yes our gospels are theological treatises. Yes our gospels are mythological in their framing of Jesus. 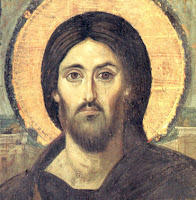 Yes our gospels present us with different portraits of Jesus, as do modern scholars who work on the historical Jesus. But none of this suggests even remotely to me that this means that Jesus did not exist as a historical person. In fact, when understood within the communal memory-making process itself, the fact that a Jewish crucified criminal is mythologized as a god that the Romans should embrace as God is highly suggestive that there was such a man, and that there were a group of people who understood whatever he did to be extraordinary. And so they framed and keyed his story with those they already knew, from the Jewish scriptures and from the Greco-Roman classics. And a historical person became an angel and then a god (at least that is my operating hypothesis). Jan Assmann, “Ancient Egyptian Antijudaism: A Case of Distorted Memory,” in Memory Distortion (ed. Schachter; Cambridge: Harvard University, 1995) pp. 365-378. Anthony Le Donne, “Theological Memory Distortion in the Jesus Tradition,” in Memory and the Bible in Antiquity (eds. Loren T. Stuckenbruck, Stephen C. Barton, and Benjamin G. Wold; WUNT 212; Tübingen: Mohr Siebeck, 2007) 163-177. Doron Mendels, “Societies of Memory in the Graeco-Roman World,” in Memory in the Bible and Antiquity (eds. Loren T. Stuckenbruck, Stephen C. Barton, and Benjamin G. Wold; WUNT 212; Tübingen: Mohr Siebeck, 2007) pp. 143-162. Barry Schwartz, Abraham Lincoln and the Forge of National Memory (Chicago: University of Chicago, 2000). Barry Schwartz, "Collective Memory and Social Change: The Democratization of George Washington," ASR 56 (1991) 221-236. Barry Schwartz, “Memory as a Cultural System: Abraham Lincoln in World War II,” American Sociological Review 61 (1996) pp. 922-923 (908-927). Barry Schwartz, “The Social Context of Commemoration: A Study in Collective Memory,” Social Forces 61 (1982) p. 393 (374-402). Barbie Zelizer, "Reading the Past Against the Grain: The Shape of Memory Studies," Critical Studies in Mass Communication 12 (1995) 214-239. Yael Zerubavel, Recovered Roots: Collective Memory and the Making of Israeli National Tradition (Chicago: University of Chicago, 1995). Yael Zerubavel, “The Death of Memory and the Memory of Death: Masada and the Holocaust as Historical Metaphors,” Representations 45 (1994) 72-100. Yael Zerubavel, “Antiquity and the Renewal Paradigm: Strategies of Representation and Mnemonic Practices in Israeli Culture,” in On Memory: An Interdisciplinary Approach (edited by Doron Mendels; Bern: Peter Lang, 2007) pp. 331-48. Yael Zerubavel, “The Historical, the Legendary and the Incredible: Invented Tradition and Collective Memory in Israel,” in Commemorations: The Politics of National Identity (ed. John R. Gillis: Princeton: Princeton University, 1994) 105-125. "Communal or Social Memory", "The Jesus Project"
Joe Hoffmann sent around a welcome to James Crossley who has agreed to join The Jesus Project. For his on-line discussion of what he hopes to accomplish by being part of the JP, go HERE. For a response to Crossley by Tom Vernna, go HERE. Robert Price has replied point-by-point to my questions about The Jesus Project. Check it out here. I'm not sure I'm much clearer, but I'm pleased to know that there are others "out there" who are asking similar questions. "Historical Jesus", "The Jesus Project"
Mark Goodacre has made an interesting post regarding The Jesus Project, followed quickly by a second post. The second post mentions Robert Price's opinion about The Jesus Project. Robert, also a Fellow, seems to think (as I suspected) that the Fellows list came from the Scripture and Skepticism conference list (those who attended or had planned to attend). I don't think that The Project is "shut down," an opinion that is now circulating on the blogs. The Jesus Project website says that an UPDATE is in progress. I continue to encourage the wait-and-see attitude, and I will continue to post information as it comes my way. I will continue to worry about methodology and reserve the decision about my involvement until later when I know more. These are the concerns that I would like answers to before getting involved in The Jesus Project. I offer them not as criticism of The Jesus Project, but as serious reflections on it. What is the actual question of The Project? Did Jesus exist? What do the earliest materials tell us about Jesus? or something else? How will the question be approached in terms of methodology and division of literature-material remains? The scientific approach (which CSER lays claim to) isn't going to tell us much. If that is the approach, we could probably be done with The Project in a couple of hours. In what way is The Jesus Project to be differentiated from the Jesus Seminar? What will happen when different scholars come to different conclusions or solutions? How do you maintain a group project when all scholars have individual agendas that they want to protect? How and when are the "findings" going to be disseminated? How are apologetics (either theological or anti-theological) going to be kept from coloring the picture? How is the group going to ensure that it doesn't just deconstruct the traditions, so that we learn nothing from The Project except that there is nothing we can know for certain about Jesus? How will the group make sure that they aren't creating Jesus in their image? This past January, CSER announced its most ambitious and significant venture to date: The Jesus Project. In response to the seasonal hype and scholarly escapades designed to contribute to national Jesus-mania, CSER has gathered together a group of the best biblical experts, linguists, classicists, social historians, archaeologists, and other scholars in order to provide an alternative and more reasoned view. Our ambitious aim is to submit to scrutiny every scrap of evidence bearing on the question of the historical Jesus - we regard the thesis that Jesus of Nazareth existed as testable, and The Jesus Project is determined to test it to the fullest extent possible...If you would like more information on how to get involved with The Jesus Project, please contact an administrator at gmacrae@centerforinquiry.net. So that's as much as I know beyond what I have already said in previous posts. There has been some activity about The Jesus Project on Jim West's blog and on Chris Zeichmann's blog and on Novum Testamentum. I wrote about my own impressions of the project in an earlier post here. As Chris writes, it is a project involving 50 scholars who will assess the historicity of Jesus and review the earliest traditions about Jesus. Chris wonders how the Fellows became Fellows, since it appears that at least one person who used to be listed was not actually asked. Chris has asked me to illuminate this situation. I know nothing more than has been published on CSER's website. My name appeared on the website after the Scripture and Skepticism conference that took place in January 2007. Once I saw my name on the Fellows list along with a number of other scholars who presented papers at that conference, I just assumed that those who attended the conference were considered by CSER to be Fellows. This was only my assumption. It may be wrong. As for how other scholars became Fellows or why "50" is the magic number, these questions I do not have answers for, but Joe Hoffmann would since he is directing the Project. I continue to have mixed feelings about the Project. As many of you know already, I am not convinced that we can really recover an historical Jesus from the types of sources that we have available let alone prove or disprove his existence. Neither of these questions are burning questions for me, although I am certainly interested in recovering the earliest traditions about him. I do not know how the Project plans to proceed methodologically, which concerns me immensely, especially given the very divergent approaches of the current list of Fellows. I don't know how the Project plans to keep itself away from (anti-)theological agendas guised as historical, and I don't know how the Project plans to keep itself from deconstructing the traditions to nothing. Perhaps these issues will be resolved in December when the Fellows are supposed to meet for the first time as a group. I don't know yet if I will be in attendance. Doug Chaplin writes a nice piece: a sentence of wit - "Perhaps, if they want to be taken seriously as arbiters of history, they should learn how to tell the truth about the present first, and not create a myth of widespread support from eyewitnesses who are around to deny their involvement." In the second issue of the new review CSER (The Review of the Committee for the Scientific Examination of Religion 1:2 [2006/2007]), The Jesus Project is officially announced. It is a Project spear headed by R. Joseph Hoffmann and Paul Kurtz. It will run for five years, with open meetings twice a year beginning in December 2007. The Project is limited to fifty invited scholars with credentials in biblical studies and cognate disciplines. The goal is to figure out if Jesus' life served as a basis for the beginning of Christianity, or if his story is a myth that led to the propagation of the religion. I have had some initial involvement in this since I presented a paper on "Apocryphal Christianity" at the Scripture and Skepticism conference that launched this Project, but I must admit I have mixed feelings about the Project even though I am listed as a "Fellow." First it is a question that has aired before, and I'm not sure what "new" can be contributed to its rehearsal. Second, even though I am in favor of writing a history of early Christianity without a theological agenda or apologetic frames, I wonder if we are going to end up again with nothing more than a tradition so deconstructed as to be meaningless, like the 20 or so sayings the Jesus Seminar left us with. Can this Project become something more than just another exercise in our own skepticism? At any rate, the proposal for the Project states: "The emphasis of the new project is to examine the shreds of tradition which bear on the historicity - the historical existence - of Jesus of Nazareth." The Jesus Project "is not an attempt to disprove the historical Jesus,...but rather to assess the nature and weight of the evidence itself...The proliferation of new theories of the nonhistoricity of Jesus, whatever their merits, and defenses of the historical Jesus, whatever their weaknesses, make this an important area of investigation in the new millennium." In one of the articles in CSER, James Robinson says, "The Jesus Project is not to launch into endless new, but ultimately unconvincing, arguments that Jesus never lived, but to understand better that oldest layer of tradition and how it can be made into a more influential force in our society today."